Not long ago, I was washing dishes with fiddle music playing in the background, when I overheard a small voice start singing in the other room. I listened, and my three-year-old was singing another song that I’d played a few times earlier that week. As I listened, I was surprised to discover that she knew the whole song! What a wake-up call. I realized if she could memorize things that quickly, I needed to be more deliberate about what she was listening to. Like most of my problems, I took it to my Knight in Shining Armor, who didn’t disappoint! 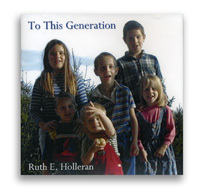 Pretty soon I was listening to Ruth Holleran’s CD,To This Generation. From the CD cover, I did not have very high expectations. I could not have been more wrong. Mrs. Holleran obviously has musical training, because the songs are well written AND varied; I don’t start singing one song and end with another. Each song repeats the verse twice, along with the reference (which is great for Bible memory!). After a few days, I caught myself singing, “Be anxious for nothing, but in everything by prayer, and supplication, let your requests be made known to God,” while doing dishes. 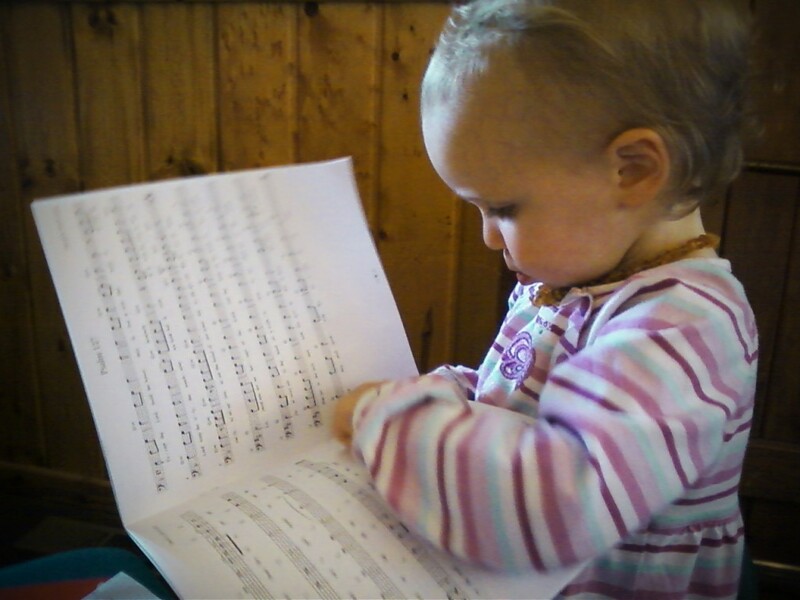 Then pretty soon Ruby is singing softly, “Our Father, who art in heaven…” all the way through! Then Philippians 4:6-7. Then Malachi 3:10. Her progress in Bible memory has significantly increased since I’ve been playing this CD. Not only is God’s Word entering my daughter’s heart, but it’s being impressed on my own as well. The homemaking job is demanding, but lately when I’ve been in the middle of a hard day I’ve heard in my head, “No temptation has overtaken you, but such as is common to man…” What encouragement! It’s amazing how God’s Word can change your attitude. Oh, how I love this. I was a little young not yet a teeeagnr when this group was popular, but I remember my older brothers and sisters playing the music. Although I was too young to appreciate it then, upon hearing it recently in my life I’m now 58 I have fallen in love with Jay and the Americans’ music! What a gorgeous, gorgeous man he was! I saw him a while back on GPTV. He is now, I think, in his late ’70 s, and STILL HAS THE VOICE! AWESOME!